Drive - Walk - Bicycle Through History! This guide will help you easily locate, explore and enjoy the thirty-one historic covered bridges in Parke County. 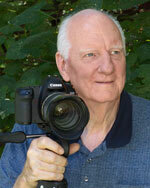 Some years ago, my interest in photographing covered bridges sparked a trip to Parke County, Indiana. On my first trip I was able to locate some of the bridges but many were difficult to locate using the maps. Out of this confusion, an idea was born. This guidebook is the reality of that idea – an easy to use guide, that not only provides the locations of the bridges but information about their builders, history and lore. 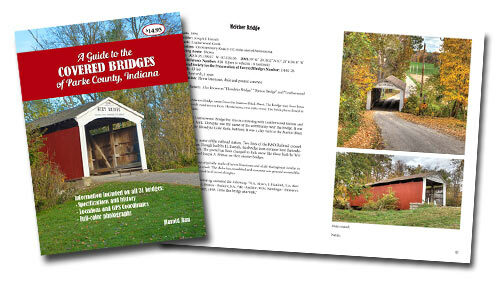 A must for every covered bridge enthusiast! This book is the captivating story of how entrepreneur Mike Roe was one day driving through a beautiful countryside in Indiana and discovered a covered bridge over a waterfall and a proud old mill overlooking it all. The waterfall looked destroyed and the mill looked very sad. Mike saw, love at first sight! His wife saw an eyesore. 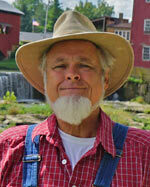 Years later, Mike saw a homemade sign nailed to the building, “Mill For Sale.” A dream come true! But soon it became a battle to survive. 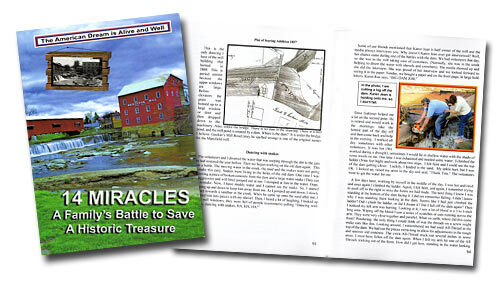 Mike shares the stories of acquiring the mill, restoring it and the fourteen miraculous events that happen along the way. It’s a light hearted, easy read book that is hard to put down once you open it. Follow Mike, Karen Jean and their family through their adventures as the family together battle to save a historic treasure. Special Offer - Buy both books for $25.00!